We are close to the University of Cumbria, about 10 minutes walk from the city centre. There is free on-street parking outside the shop. Drivers please note there's a one-way system around the block. Click either map to find us using Google Maps. 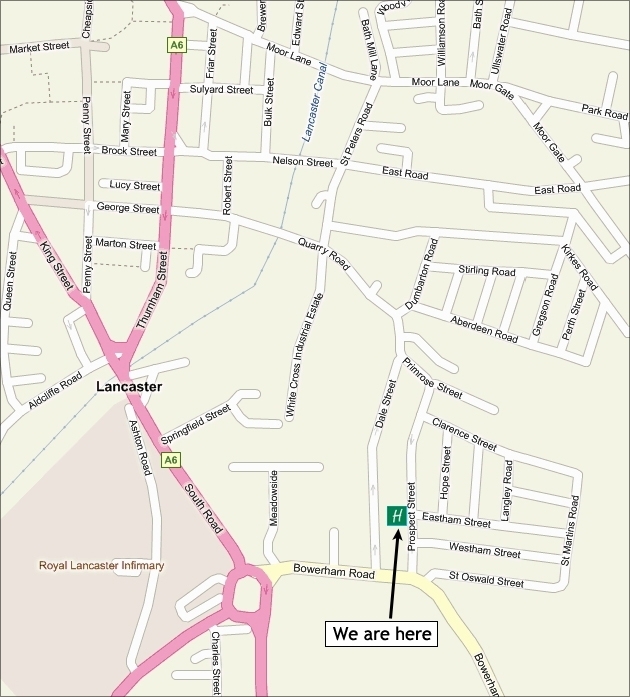 Click here to find Lancaster if you're coming from a distance, and get directions if needed.